General Convention 2018 for the Episcopal Church is in less than three weeks. 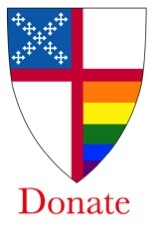 We invite you to help us attend and prepare for the work at General Convention, for marriage equality in every diocese, for our youth, and for our transgender siblings. Read the latest Friday Flash in its entirety. All members of Integrity get the Friday Flash emailed directly.